Blessthefall Releases New Album "Hard Feelings"
Blessthefall's brand new album "Hard Feelings" is out now via Rise Records. The band has just shared the cinematic and conceptual video for "Sleepless in Phoenix." 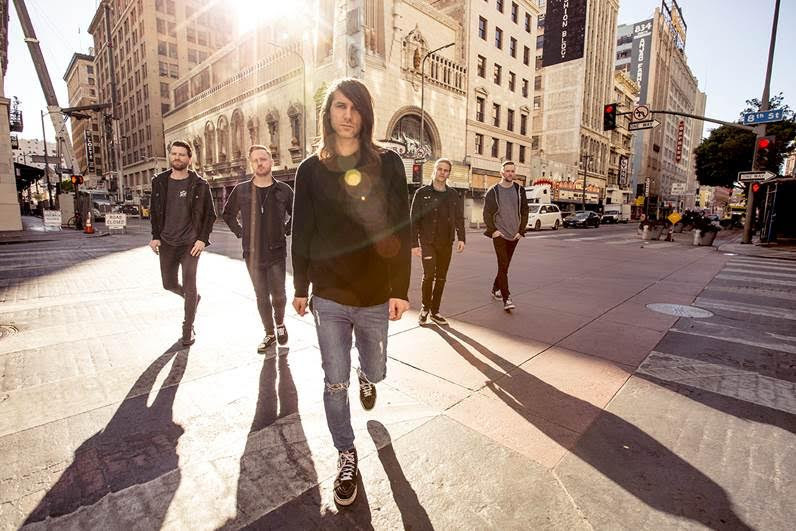 "It was pretty awesome filming this video about Phoenix while we were actually in Phoenix," said frontman Beau Bokan. "The whole concept is about a dude who buys a possessed TV and he can't get rid of it! We wanted sort of a Black Mirror/Twilight Zone vibe. Since the narrative and the performance are happening at the same time, you'll have to watch this multiple times to catch it all! This is one of the coolest videos we've ever made."